As you know Back to School is coming very soon rather you have a child in grades K through 12 or at child headed off to college Staples has all you need for back to school. 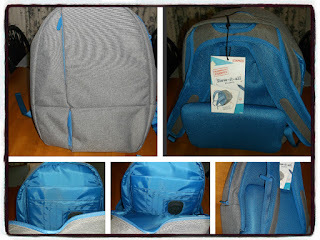 The first item is a Designed By Students Stow It All Backpack gray/ blue. 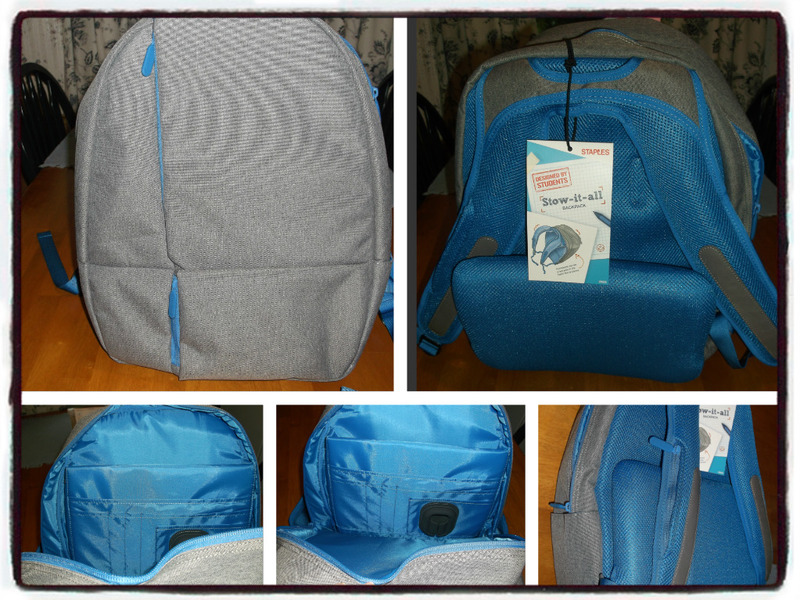 This is a durable gray backpack made of nylon with blue accents so as a pop of color. It also has the following features: Insulated pockets on the lower front keep luncheon beverages cool, thick memory foam and lumbar support for added comfort on back and shoulders, cushion laptop sleeves fits up to a 15-inch screen, semi-hidden rigid pockets on upper front for technology devices and hidden pockets in backpack and straps. This pack back is unisex and 17.80 inches in height and 6.30 inches in depth make it large. The other item I was sent from Staples is Steadtler Triplus Finerliner which comes in a package of 10 with a 0.3 MM point pens and assorted ink colors which are Yellow, Red, Magenta, Blue, Aqua Blue, Orange, Green, Willow Green, Van Dyke Brown and Black. The other features it has is Fineliner with superfine, metal-clad tip, ergonomic triangular shape for relaxed and easy writing, drive safe so can be left on For days without drying up, water-based ink, watches out of many textiles,Stand-up STAEDTLER box, and PP barrel guarantees long service life. 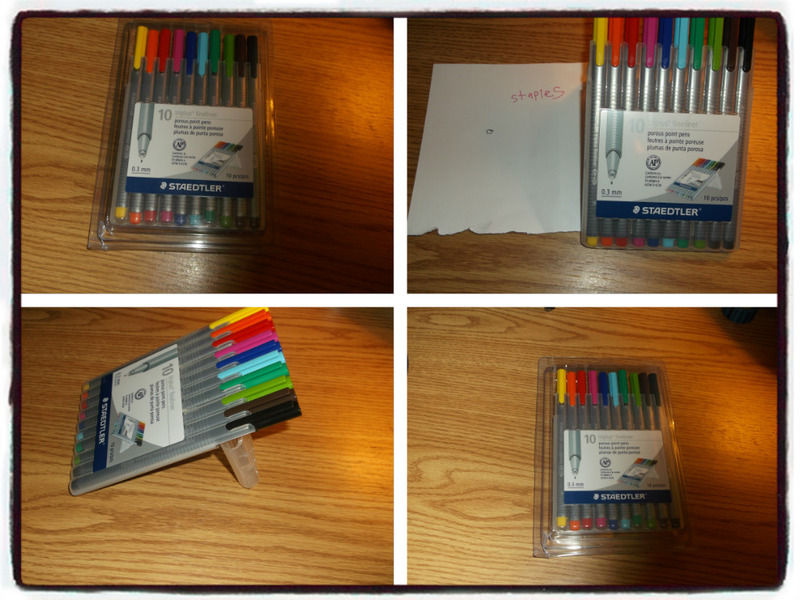 My Opinion: I really like the colors of these pens and how fine they are for writing I do wish they were a bit thicker for easy gripping for those elderly and those with arthritis problems. I love how it has a standup box and they don’t dry out is a plus. The backpack is also grade I was surprised really at how big it was in large wish I had one like this when I was in high school. I think it’s convenient to have a sleeve for your laptop or notebook and a cool beverage holder to keep a cool drink with you.